Mikie was born in a home outside of Monroe, AL. His mom is a black Lab mix, and we suspect his dad may be a smaller breed dog. He has 6 siblings and spent the first 6-7 weeks nursing and being cared for by his mom. 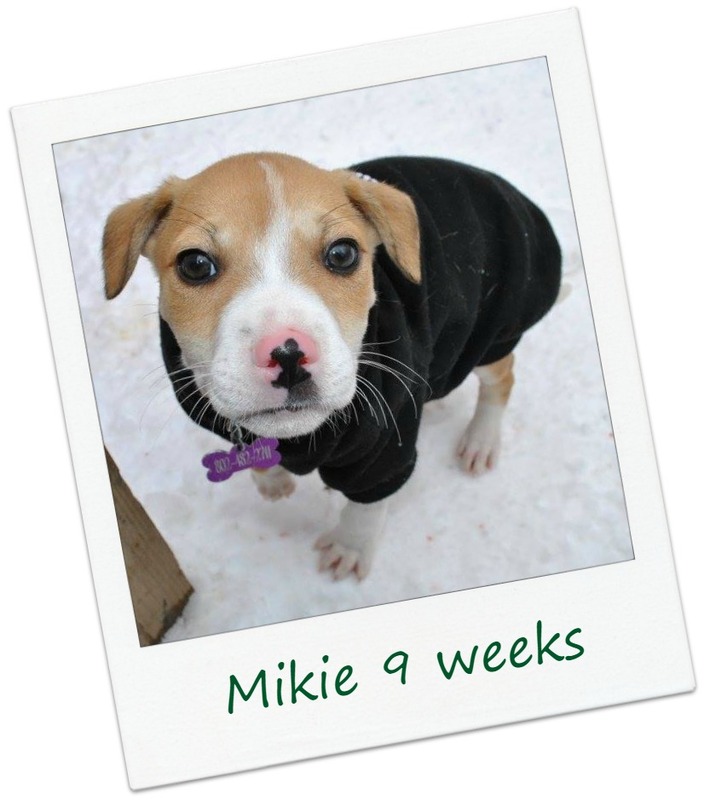 Mikie is estimated to be 9 weeks old and he weighs 10.5 lbs. He is working on his house breaking and crate training skills - and is at the perfect age to master them. We do not provide DNA testing which is the only way to know with certainty which breeds are included in Mikie's family tree. We know mom is a Lab mix, and a Boxer mix & Jack Russell Terrier mix live nearby - but this is only a guess. Based on his current size and rate of growth, we expect him to reach 45-50 pounds as an adult.